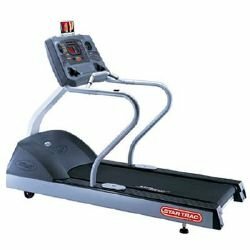 Home / Shop / Brands / Star Trac / Star Trac ETRI Commercial Treadmill. Call Now For Lowest Pricing Guaranteed! 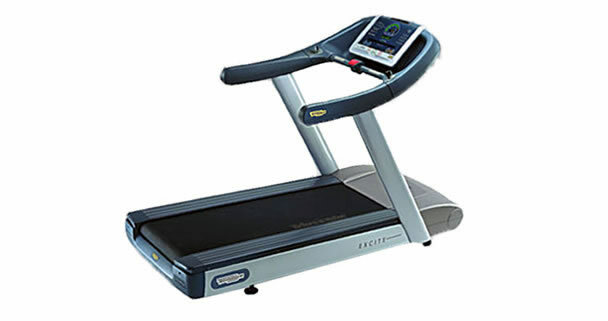 Star Trac ETRI Commercial Treadmill. Call Now For Lowest Pricing Guaranteed! 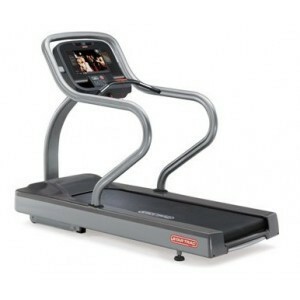 Star Trac ETRI treadmill not only provides great workouts, but also has excellent features for entertainment. It comes with PVS entertainment system that includes an HD 15.6″ color LCD screen, iPod connectivity, digital tuner, and PAS/SECAM video options. The treadmill can provide intense workouts at maximum speed of 12.5 mph, and at the same time, the advanced Soft Trac shock absorption system provides excellent protection from running impact. There are 12 workout options to choose from, including fitness protocols and Heart Rate Control workouts. Compared to the Star Trac ETR model that is prewired for PVS entertainment system, the Star Trac E and ETRI models actually come with the full system. However, the Star Trac E has the 15″ viewing screen integrated into the console panel, whereas the ETRI model has a separate 15.6″ LCD screen above the console. The ETRI model however falls short of the maximum speed of 15 mph, which the other two models are able to provide. 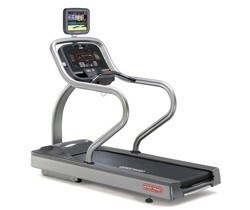 The Star Trac E model may not have a personal viewing screen, but scores by providing 18 workout programs, compared to 12 programs provided by the other two models.